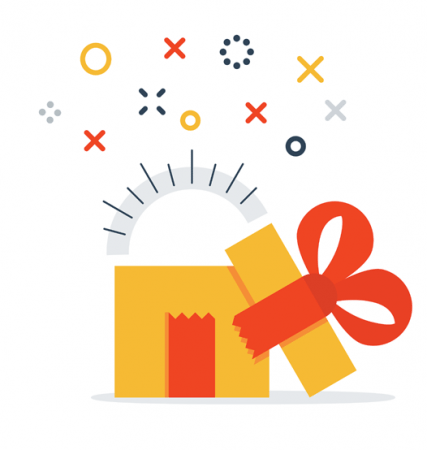 The holiday season will soon be upon us, and choosing a gift for a business professional or customer that will make their life easier or provide a bright spot in their day can be a daunting, but ultimately satisfying, task. Some want to keep pace with the latest technology, others appreciate anything that can provide them with comfort or add pleasure to their work day, while still others appreciate whimsy or a gift they can enjoy themselves or with others when their day is done. BusinessWest has done its best to make your shopping easier by presenting ideas in a variety of price ranges sure to please a co-worker, frequent flyer, or anyone who spends a good deal of their life in the office. Some items can be found locally and support small businesses, while others are carried at a range of stores. If none of these seems quite right, a gift certificate to an area store, restaurant, or theater venue is sure to be appreciated. And, last but not least, consider a gift to a charitable organization you know the person cares about and supports. Candles can make a scent-sational gift, and a small group of socially responsible female entrepreneurs at Prosperity Candle in Easthampton has a wide range of offerings designed to brighten things for everyone on your list. Their candles are handmade to order with soy-blend wax, essential oils, and natural cotton and wood wicks, and can be purchased individually or in a gift box that contains local products. Try Pioneer Valley Gift Box #1 with maple syrup from Florence and a candle scented with a blend of tobacco leaves, aged cedar, and a touch of spice ($34 at www.prosperitycandle.com). 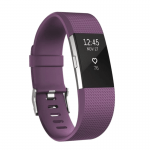 Many people make an annual New Year’s resolution to exercise more, and a Fitbit 2 Heart Rate and Fitness Band may be the ideal gift to help goal-oriented professionals meet with success. The device contains a multitude of features that range from call, text, and calendar notifications to “Reminders to Move” that encourage wearers to take 250 steps every hour, and tracks steps taken, distance, calories burned, floors climbed, active minutes of exercise, and hourly activity, as well as how long and how well you sleep. The battery lasts up to five days without being recharged. Starts at $149. Anyone who likes to cook or enjoys a good salad will appreciate a gift of extra-virgin olive oil grown by members of the Falvo family in the Calabria region of Southern Italy. 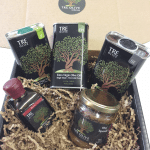 Tre Olive in East Longmeadow has individual bottles starting at $9.99, balsamic vinegars and spreads, beautiful gift boxed tins starting at $19.99, and olive-oil soaps flavored with lemongrass, fig, and other intriguing combinations. There is also the ultimate gift: adopt an olive tree for a year, receive a photo of it, and look forward to the spring when its olives are pressed and you or your gift recipient will be sent some of the freshest oil imaginable. 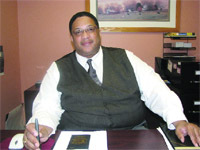 At www.treolive.com. People who travel frequently often fear losing their laptop, luggage, and other necessary items. But this little tag with a standard watch battery life of six months can prevent that: it connects to smartphones that use Bluetooth 4, and if the traveler forgets an item, the tag beams. In addition, it allows you to search for missing items. Cost: $30. Many business professionals drink coffee throughout the day, but if you introduce them to award-winning tea brewed in small batches, they may thank you for years to come. Tea Guys in Whately offers every type of tea imaginable with highly unusual blends and flavors such as chocolate raspberry and candied lemon. A box, gift package, or gift certificate is sure to soothe. At www.teaguys.com. Business involves daily decisions, but sometimes it’s not clear what to do. 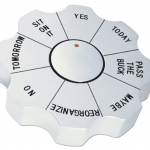 In these cases, it’s simple to alleviate stress — or just have a moment of fun — by pressing the button in the middle of the Natico decision maker and paperweight. A solution will appear when it is done spinning, and your reaction may help determine what course to take. The paperweight can also serve as a conversation piece when someone enters your office. Cost: $17.50. Comfort is priceless, and spending hours behind a desk can lead to chronic back pain, but Herman Miller offers an almost foolproof solution with its classic Aeron desk chair. 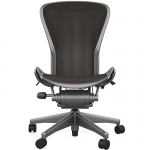 The most well-known ergonomic office chair on the market incorporates the latest research around the science of sitting; fabric and foam are replaced with a breathable, woven suspension membrane, and ergonomic engineering allows the person’s weight to be distributed evenly to eliminate pressure points and heat buildup. The chair reclines, and its PostureFit feature provides support at the base of the spine, where it is needed. Models start at $679 at Lexington Group Inc. in West Springfield. 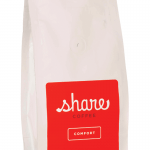 There’s nothing to brighten up a day like getting a gift at work, and coffee lovers will be thrilled to find a delivery of freshly roasted gourmet coffee sent to them weekly by Share Coffee Roasters in Hadley. The first bag is free, and after that, weekly packages are sent for the length of time you choose and come in 6-, 12-, or 18-ounce packages. The coffee is roasted and shipped the same day and is similar to fine wine, as it contains a medley of tastes. For example, Guatemalean Los Dos Socios has hints of dark chocolate, juicy citrus fruits, and praline. Prices start at $13 at www.sharecoffeeroasters.com. 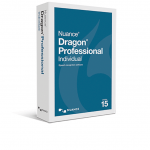 If you know a small-business owner or executive who doesn’t have a secretary or complains frequently about carpal-tunnel pain, Dragon Professional Individual v15 voice-recognition software may usher in tidings of great joy. It can transcribe dictation or an audio interview three times faster than typing, and the person never needs to use their hands. In addition, simple voice commands can be used to edit documents or change formatting with up to 98% accuracy. Cost: $300. 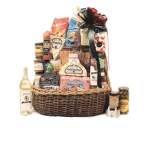 Food is always a welcome gift, and a gift basket from Frigo Gourmet Foods in Springfield can be shared at the office, taken to a party, or enjoyed at home. 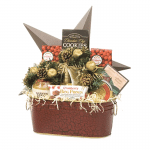 They come in a wide array of prices and styles, but their Old World Italian gift basket is sure to be a hit, with its irresistible mix of seasonal products such as panettone, amarettini cookies, biscotti, torreones, asiago, fontina, parmesan, provolone, salami, pepperoni, and casaling or sopressata meats. Cost: $125 at www.frigofoods.com. Have a frequent flyer on your list? Someone who has trouble concentrating in a noisy workplace, or whose performance soars when listening to music their co-workers might not appreciate? 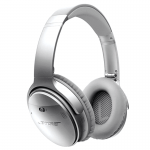 Bose QuietComfort 35 headphones might suit their needs as they combine Bluetooth connectivity with the latest in noise-canceling technology, take a mere 15 minutes to charge, and have an unmatched battery life of 20 hours with a free app that makes switching between devices easy. Cost: $349. This family-owned Southampton vineyard offers award-winning wines created by hand in small, individually numbered batches. Choose from reisling, chardonnay, epic white, pinot noir, cabernet blanc, and more at $16 and up, or a beautiful gift basket that contains a bottle of wine, two glasses, and a wine-tasting gift certificate for two. Basket: $45 at www.blackbirchvineyards.com. 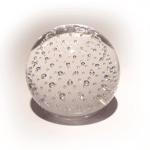 This clear bubble paperweight by the Museum Store at Wheaton Arts is handmade, so the color and size may vary if you purchase more than one, but it’s an unusual gift that is practical, decorative, and comes with a story card. Cost: $34 at www.wheatonarts.org. Laurel Mountain Basket Co. Inc.
Each basket is made when the order is placed, so give them a call at (413) 527-1243 to talk about their kosher, gluten-free, and specialty New England gift baskets overflowing with products that can be designed to suit every budget and palate. Visit www.laurelmtbasket.com. People who love to know what it’s doing outside will delight in a desktop wireless weather station. Many models are available and range in price from about $50 to more than $500. The AcuRite 01036 Pro Weather Station with PC Connect, 5-in-1 Weather Sensor, and My AcuRite Remote Monitoring App has great ratings; accurately measures the temperature, humidity, wind speed, wind direction, and rain; and allows you to set up programmable weather alarms as well as e-mail and text alerts to notify you when conditions change or your presets are reached. Cost: $125.